KLM and VUmc, eHealth app for pilots. Improving the fitness and health of pilots. At the VU Medical Center, employees are continuously working on making quality improvements and realizing innovations in healthcare. Together with KLM the hospital is investigating the possibilities to ensure the health and fitness of pilots. 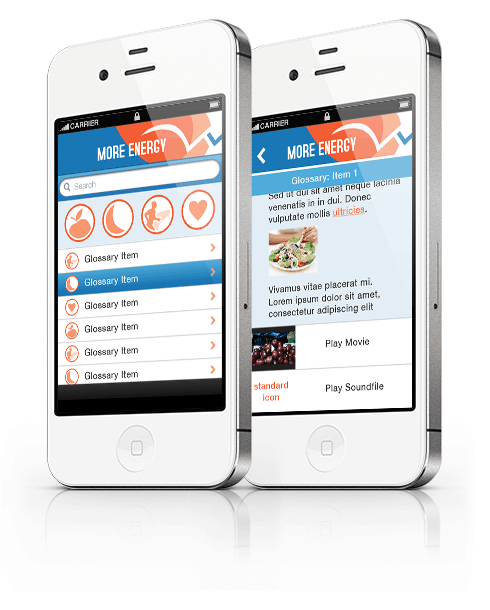 The developed MORE Energy app is a collaboration between KLM, KLM Health services and the social medicine department and VUmc. The innovative app has been nominated for the TEDx Amsterdam award. GlobalOrange is a specialist in the development of smart software. How does one reach a target group that is often, if not always, on the move with important information? The solution, of course, is the one device that everybody always carries with them. Every day. The smartphone. GlobalOrange developed a mobile application that provides pilots with medical advice based on their flight schedule. GlobalOrange has extensive experience in the development of mobile and web-based applications, which made collaboration an obvious choice. GlobalOrange has specialist knowledge, such as architecture, UX-design or Product Owners, as required and always available. The user enters his flight number and receives appropriate advice about light, power, sleep and movement. The application takes into account the departure and arrival time, the number of flights on a day, transfer, time difference and flight time. Because pilots mostly make mobile use of MORE Energy, the user interface design is optimized for smartphone and tablet use. In doing so, the specific characteristics of iOS and Android have been taken into account. 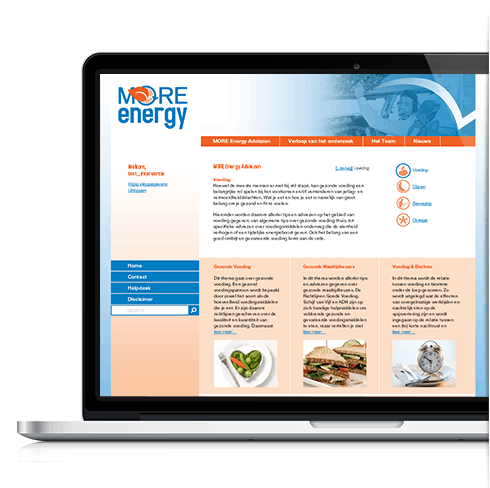 A back-end has been developed to adjust the scientific model and to measure the research results. Free advice on software development. Leave your details on the form below and we will contact you as soon as possible.